The Best Responsive Free Themes for WordPress Collection is here to help you make a decision. Check out some of the most popular and beautiful free templates! 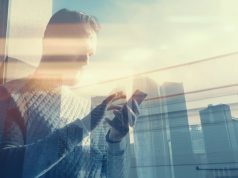 WPion is your source of insights! 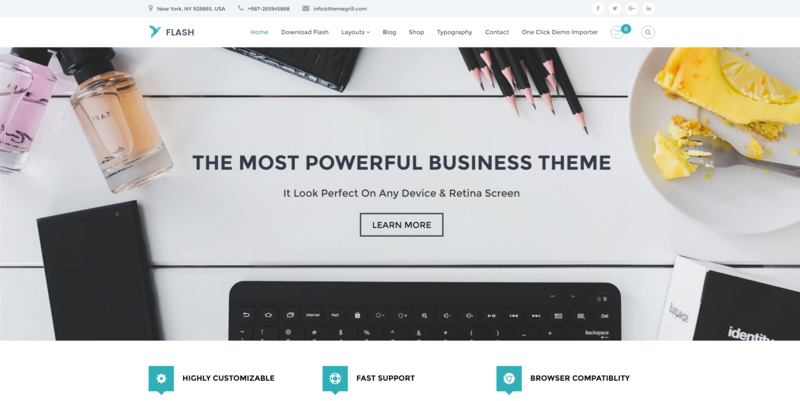 Are you looking for beautiful and responsive free themes with powerful tools for your WordPress website? Whether you want to develop an eCommerce, blog, news, multi-purpose or one-page template website, WPion is here to help you make a decision! 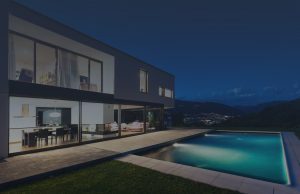 Enjoy reading and find the right template that will suit your needs! All the themes listed in this collection are free templates with strong and beautiful tools. Developed by the Themely author, Verb is an elegant and responsive WordPress template, that’s suitable for personal blogs, news and magazine websites. It includes a Theme Customizer where you can find all the settings, change the layout and also its visual appearance. Some of the most important features that come included with this template are the demo content, fly-out menu, and post layout styles. It is also social network friendly and has a custom area where you can include ads to monetize your website. The Verb theme is a freemium product offering you a free options package and also a premium version, with more tools to help you build a beautiful site. Flash is a versatile multipurpose template by ThemeGrill. The theme is responsive and retina ready so that it will display your pages on any device. The new website will be ready for a test drive in no time with the custom-built plugin called ‘ThemeGrill Demo importer’. This plugin allows you to choose the perfect template from the ones available. The theme is highly customizable, and you can manage all your website options from the front-end panel. Flash brings you the drag and drop SiteOrigin Page Builder, six custom widgets, color schemes, Google Fonts, custom CSS and more. 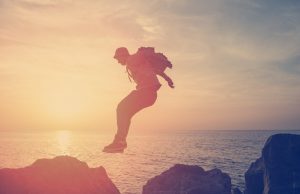 With the detailed documentation and screenshots, you can build travel, business, blog, eCommerce, sports or health websites without any coding skills needed. Flash is compatible with the WooCommerce plugin so that you can set up a beautiful online shop. 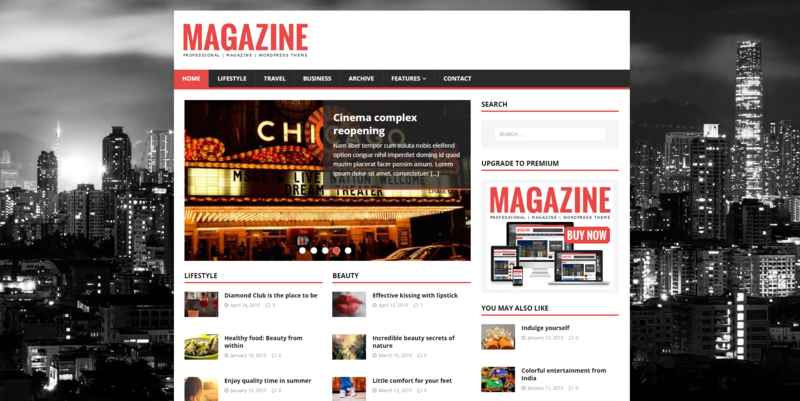 Built for the news and magazine industry, MH Magazine Lite is an elegant and flexible WordPress theme. The MH Magazine Lite is a free version of a premium theme. Once you get used to the theme, you can update to the premium version to get more options. MH Magazine Lite comes with header and background colors, four custom widgets, and 12 locations to include them, one menu slot style, including the FlexSlider 2 with Touch Support plugin. 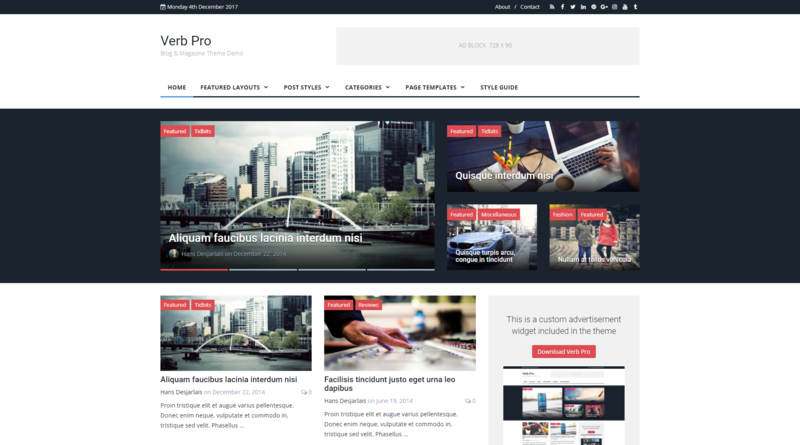 With this theme, you can create attractive and beautiful news, blog, magazine, tech or editorial sites. The theme documentation has a search button and explicit print screens with viable solutions and video tutorials. Pixova Lite is a free and modern template developed by the Macho Themes author for one-page parallax websites. The template design is minimal, responsive and retina ready. With the Live Customizer, you can modify header images, portfolio area, pie charts, blog options and personalize the contact form or author boxes. If you want to build a product landing page, the Pixova Lite template will help you get the job done. Also, the theme integrates the WooCommerce plugin and custom elements, so it’s easy to get a shop ready in a short time. Do you have something for sale? 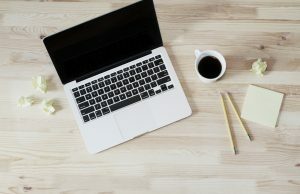 It’s time to be online and start your own website using a free eCommerce template like the beautiful ShopIsle, made by ThemeIsle author. The wide white spaces, responsive layout, and beautiful design tools will deliver a great user experience. If you are passionate about photography, fashion, music instruments or jewelry, with WooCommerce and specific features like the full-screen Header Slider, Product Slider, Parallax Slideshows, Video Section, Contact Form, About Us page, Banner Areas, you’ll have a one-page amazing web shop. Also, the amazing ShopIsle theme comes with color pickers and allows you to select a color for header or background sections. 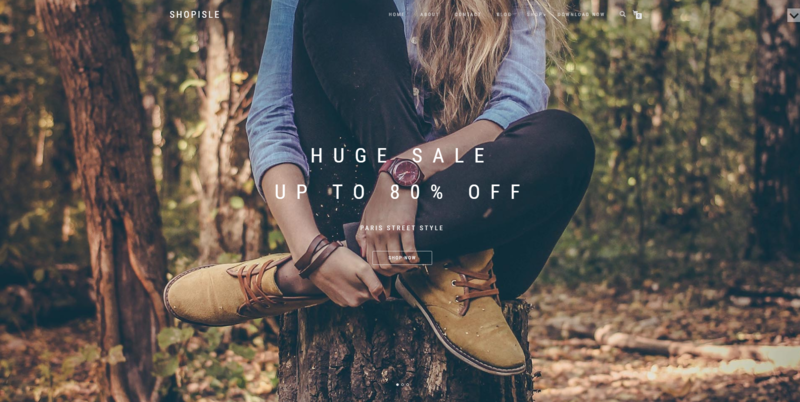 ShopIsle is bundled with SiteOrigin Page Builder, Photo Gallery Grid, Contact Form 7, Meta Slider, JetPack plugins and is compatible with WPML. 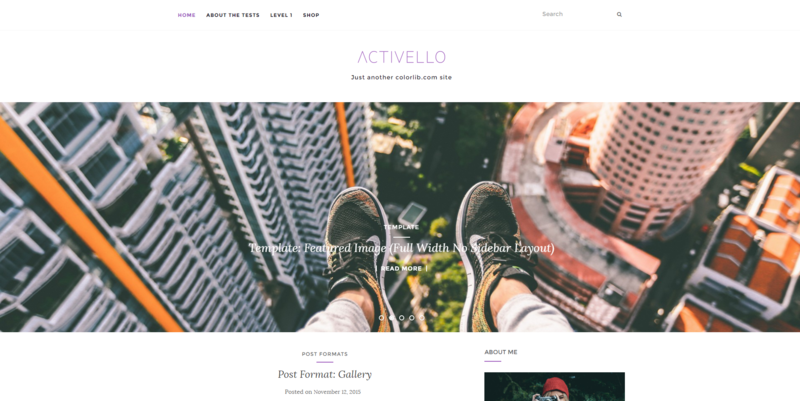 Activello by Colorlib is a free WordPress theme for blogs and magazines. The elegant and attractive interface is responsive, retina ready and will show the same on every device. With the WordPress Live Customizer, you can adjust the theme’s options, the slider, typography, shortcodes, sidebar, widgets, menus and much more. The important features of Activello template are the full-width slider, translation ready, infinite scrolling, and unlimited color options. The theme is compatible with WooCommerce, Contact Form 7, Yoast SEO, W3 Total Cache, Gravity Forms, and Jetpack. No matter what subject you choose, Activello will be up top the task. Designed by the ILoveWp author, Monograph is a free and responsive WordPress theme. 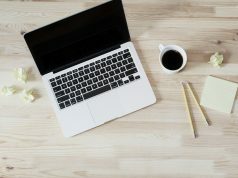 You can use it on personal, entertainment blogs, or magazine websites.With Monograph you can create pages on different templates: full width or with reversed sidebar, and show the posts in a two column grid to organize your work. On the Front Page, you can highlight and feature up to five different post categories. Some of the most important features included in Monograph are the post views counter, ad box, custom colors, background & menus, left or right sidebars. The Monograph theme is social network friendly and RTL ready. Hi Lisa, thank you so much for including our popular MH Magazine lite theme in your overview. I wish you a wonderful holiday season, Merry Christmas and a Happy New Year. Hi, Michael! Thank you for the kind wishes! Happy New Year! WoooooW! Now how am I supposed to decide upon all of these? All themes look amazingly, thx WpIon for sharing! Hi, Leeanna! Our team is happy that you find WPion a great source of inspiration! You could choose the one that best fit your needs. Have fun testing them! Hi, Francisco! Thank you :)! 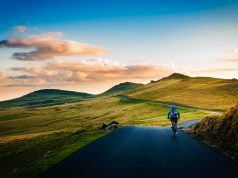 Very well written informative post. You might have mentioned such valuable information for beginners. This helps them lot. Very good work, keep writing. thank u Lisa. nice article about wp themes.